With just over 40,000 residents, Hilo is one of the largest settlements on the big island of Hawaii. Visitors come from all over the world to enjoy the tropical paradise with swaying palms and warm Pacific waters. The Merrie Monarch Festival celebrates the hula and provides entertainment for thousands of tourists each year. Luckily, Hilo also offers access to excellent emergency dentists who are always available to treat your dental emergency. From orthodontists to fix those braces to a general dentist who cares for the entire family, Hilo is a perfect place when it comes to maintaining your dental health. The Emergencydentistsusa.com website makes the search for a new Hilo emergency dentist a breeze. Our convenient listing of dental offices is at your fingertips when you are dealing with a dental problem. Just scroll through the list and select the dentist that suits your needs. You can also find driving directions, office hours of operation, and even insurances accepted with our comprehensive dental directory. Choose a general dentist or a specialist to repair broken teeth, fix that lost filling, or treat a painful abscess. The 24-hour dentist finder hotline is your alternative when it comes to finding a great Hilo emergency dentist if you do not have internet access. Call our toll-free hotline and speak to a caring agent who can help you to choose a new dentist, set up that first dental appointment, and offer driving directions from your home or hotel. Remember to bring your insurance card with you to your first dental visit. You will also need your photo ID card and any copayment that is necessary at the time of service. Arrive at your dental appointment at least 10 minutes early to fill out the new patient paperwork and ask any questions that you might have for the staff. Hilo’s beautiful scenery provides a gorgeous backdrop for vacationers who enjoy swimming, snorkeling, boating, and just enjoying the ocean. Luckily, this Hawaiian city also offers access to dental specialists like orthodontists, periodontists, oral surgeons, and general dentists. When you need immediate treatment for a painful dental emergency, Hilo is a wonderful place to be living or visiting. Description: Catering to families, children, and seniors, Hawaii Family Dental invites patients to enjoy the calm and relaxed atmosphere of a comfortable dental clinic. From general dentistry to digital x-rays to cosmetic services, Hawaii Family Dentistry brings quality dental care to everyone on the island. Convenient office hours on Saturdays mean that you do not have to miss work to care for your dental problem. Description: A family business describes the Island Ohana Dental clinic, with three caring dentists who are also siblings. Working hard to create an atmosphere that caters to families for a lifetime, this dental office provides general and cosmetic dental care for all ages. Conveniently located on Lanikaula Street, Island Ohana Dental offers state-of-the-art technology in an atmosphere of kindness. Description: Celebrating a history of excellence, Takata Dental Health Center provides comprehensive dental care for the entire family. From digital dental x-rays to cosmetic procedures, this busy dental office is a full-service facility. Open on rotating Fridays and Saturdays, the clinic schedule makes it easy to get that dental problem taken care of without the hassle of missing work or school. A painful abscess or a terrible toothache can make it extremely difficult to feel comfortable. If dental pain lasts more than an hour or two, a visit to your Hilo emergency dentist is definitely necessary. When a dental problem begins with an accident like a fall, you should head directly to the nearest hospital emergency department or urgent care center. Although your Hilo emergency dentist can fix a broken tooth or even an knocked out tooth, it is important to have a medical professional evaluate you for any other types of injuries. 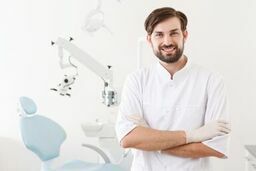 When you choose a new dental health professional, make sure that you pick a dentist with current licensing and credentials that allow him or her to perform dental services in Hawaii. You can find this type of information by visiting the dental office prior to your visit and speaking with the dental receptionist. You can also use the Hawaii Dental Association website to browse this information. Simply click on the search box and enter your dentist’s name to see current licensing and credentials.